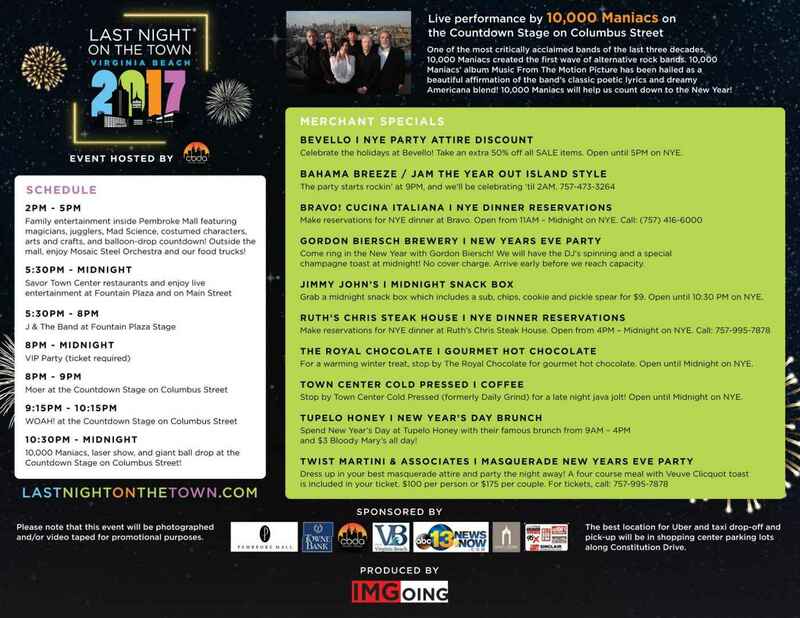 Celebrate “Last Night on the Town,” the City of Virginia Beach’s premier New Year’s Eve event, in Town Center of Virginia Beach! The FREE festivities kick off at 5:00 PM with roaming entertainment and street performers until 9:00 PM. 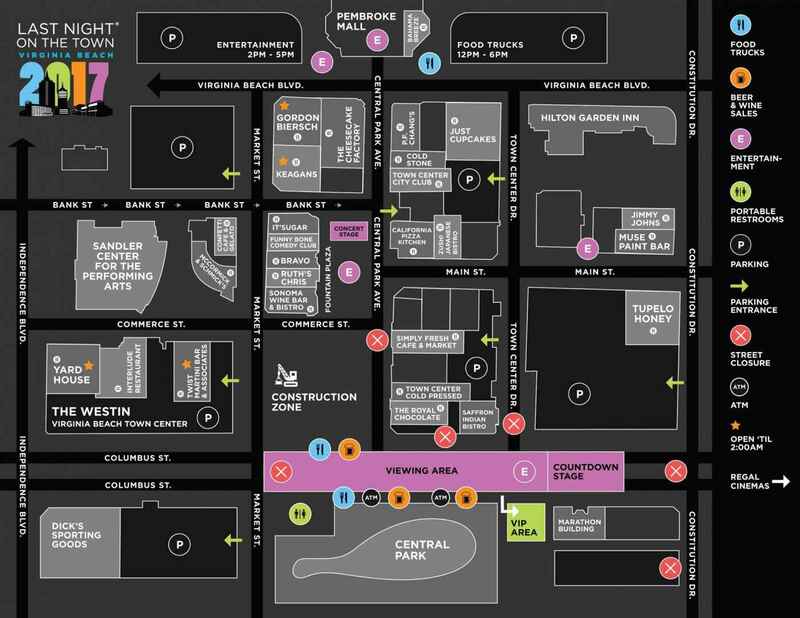 At 9:00 PM, the party kicks off at the Countdown Stage on Columbus Street. Opening acts include J & the Band at the Fountain Plaza Stage, with WOAH! and MOER. Headlining the Countdown Stage on Columbus Street will be a memorable performance by the legendary 10,000 Maniacs and a spectacular laser light show and New Year’s Celebration as the beach ball drops to ring in 2018! All activities and entertainment are free and open to the public, with food and adult beverages available for purchase inside Town Center restaurants. A ticketed VIP Party hosted by the Central Business District Association will be held stage side in a heated tent, providing VIP guests with the best views of the festivities!